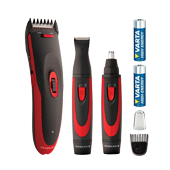 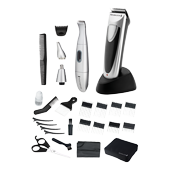 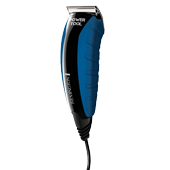 Versatile grooming kit includes all you need for hair cutting and personal grooming at home. 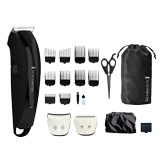 Advanced ceramic coated blades - ultra sharp and long lasting for effortless cutting performance on all hair types. 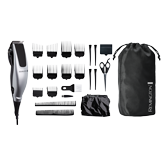 The 24 piece haircut kit has everything you need for easy at home haircuts. 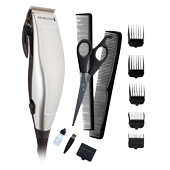 Experience the superior cutting experience as you cut through even the thickest hair with ease. 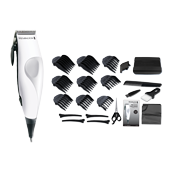 28 piece kit with salon professional clipper to ensure salon performance every time. 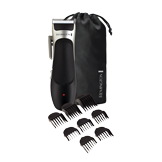 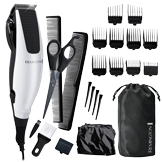 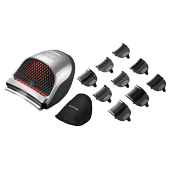 Versatile 21 piece kit includes everything you need for an easy at home haircut. 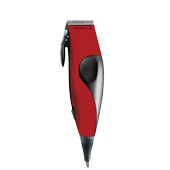 Delivers a high-quality cutting performance with every use.